Railroads play an essential role in helping the U.S. achieve energy independence by safely moving crude oil extracted domestically. In light of increased volumes of crude oil moving by rail, the railroads have done top-to-bottom reviews and improved their operations. At the same time, federal regulators have issued regulations governing the transportation of crude oil by rail (CBR). Freight railroads move unit oil trains under rules as rigorous as those required for more hazardous materials (hazmat). Thanks to a nationwide rail network infused by years of major private spending — about $25 billion a year over the past several years — railroads safely and efficiently transport a commodity that helps power America’s economy. Fewer than 1% of all derailments in 2017 involved crude oil tank cars. More than 99.999% of all tank cars containing crude oil arrive at their destination without an accident caused by a release. The hazmat accident rate has dropped by 41% since 2008. The federal government requires railroads to carry hazmat. This is called a “common carrier” obligation. Self-imposed operating practices and community-safety efforts. Increased emergency response planning and training. Special routing technology that analyzes safe and secure rail routes. Stronger tank cars and high-tech, track-side safety approaches. The industry endorses a federal government ruling that older tank cars carrying crude oil be upgraded or replaced. The freight rail industry has long advocated for robust tank car standards. AUG. 2009: AAR begins to upgrade industry tank car standards that exceed the safety standards of U.S. Department of Transportation (DOT)-111 tank cars. MAR. 2011: AAR formally petitions the Pipeline and Hazardous Materials Safety Administration (PHMSA) and Transport Canada to implement tougher tank car specifications for DOT-111 tank cars used for crude oil and other hazmat. AUG. 2011: In the absence of any progress by the DOT and Transport Canada, the AAR Tank Car Committee adopts industry construction specifications for new tank cars and the stronger CPC-1232 design becomes the standard for all tank cars built after October 2011. AUG. 2013: The freight rail industry responds to DOT Emergency Order No. 28 and Safety Advisory to further strengthen train operations on mainline tracks or sidings. AAR modifies industry best practices, making trains carrying 20 or more carloads of any hazmat subject to a speed restriction and other enhanced operating practices. NOV. 2013: AAR again urges DOT to improve federal tank car regulations and require all tank cars transporting flammable liquids, such as crude oil, be retrofitted or phased out of crude service. Speed reductions for trains transporting crude oil. Increased inspections of tracks on crude oil routes. Route risk analysis for trains carrying more than 20 carloads of crude oil (a Key Crude Oil Train). Two-way end of train devices or distributed power for Key Crude Oil Trains to provide faster braking. Additional bearing defect detectors along routes carrying Key Crude Oil Trains. Development of an emergency response inventory along routes carrying Key Crude Oil Trains. Stepped-up crude oil incident training for first responders. FEB. 2014: DOT issues an Emergency Order on classification and packaging of crude oil. MAY 2014: AAR forms a joint task force with the American Petroleum Institute (API) to examine components associated with moving CBR. MAY 2014: PHMSA and the Federal Railroad Association (FRA) issue a Safety Advisory discouraging the use of DOT-111 tank cars. DOT issues an Emergency Order requiring railroads to inform first responders about crude oil routes. JUL. 2014: AAR provides DOT with access to an inventory of emergency response resources available to respond to hazmat accidents. JUL. 2014: DOT issues a Notice of Proposed Rulemaking (NPRM) on tank car standards and an Advanced NPRM on oil spill response planning requirements. JUL. 2014: A three-day training course for first responders focused exclusively on CBR takes place at the Transportation and Technology Center’s Security and Emergency Response Training Center (TTCI/SERTC) (an AAR subsidiary) in Pueblo, Colorado. More than 1,500 emergency responders receive classroom and in-field training in 2014 at the world-class facility. SEP.. 2014: In comments to DOT’s proposed rules for regulating crude oil trains, AAR again calls for dramatically improved tank cars that carry crude oil and ethanol, and proposes a comprehensive safety package, which includes thicker shells, thermal protection and appropriately-sized pressure relief devices. AAR advocates an aggressive retrofit or phase-out program for crude service tank cars. OCT. 2014: Roll-out begins of the rail industry-developed AskRail mobile application, which is an additional tool for emergency responders to access to information about hazardous materials contained in rail cars when responding to an incident. NOV. 2014: SERTC launches web-based crude oil training for first responders. JAN. 2015: AAR further modifies industry best practices to increase commodity flow information provided to local emergency response agencies for all hazmat being transported through their communities. MAR. 2015: AAR and API announce a new CBR safety course for first responders. The program, offered through the Transportation Community Awareness and Emergency Response (TRANSCAER) program, is in addition to specialized training offered to thousands of first responders by railroads in local communities at TTCI and through web-based training. AAR enhances the AskRail app. APR. 2015: PHMSA issues a Safety Advisory on emergency response information; FRA issues an Emergency Order on maximum speeds for CBR moving through certain highly populated areas and FRA issues a Safety Advisory on brake and mechanical inspections for trains moving crude. MAY 2015: DOT issues a comprehensive final rule on tank car standards and operations for moving large volumes of flammable liquids by rail. 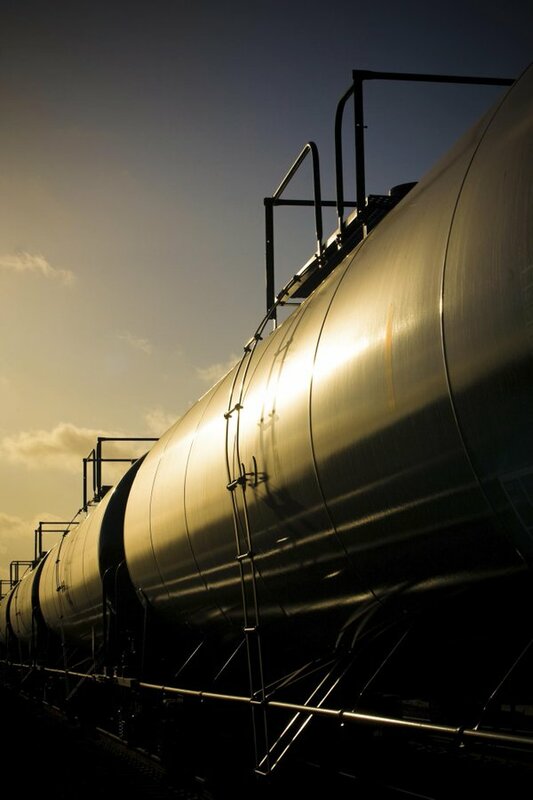 MAY 2015: PHMSA issues Transportation Rail Incident Preparedness and Response (TRIPR) training modules on best practices related to rail incidents involving flammable liquids. JUL. 2015: FRA further specifies requirements for railroad notifications to State Emergency Response Commissions concerning crude oil. SEP. 2015: DOT announces $5.9 million in first responder grants specific to crude oil incidents. DEC. 2015: Congress passes the FAST Act, which includes numerous provisions supported by the freight railroad industry related to rail safety generally, emergency response training and the safe transport of flammable liquids by rail. Among these are requirements for web-based training for emergency responders, emergency preparedness and training grants, specifications for real-time emergency response information, enhanced tank car standards and a mandatory phase-out schedule for older tank cars. FEB. 2016: The proposed rule on oil spill planning and information sharing for crude oil trains is revised based on FAST Act requirements and sent to the Office of Management and Budget (OMB) for review. MAY 2016: AAR urges DOT to adopt a thermal protection requirement for flammable liquid cars, which exceeds DOT’s current standard and which all thermal blanket manufacturers currently meet. The new standard would increase the amount of time flammable liquids could survive a pool fire and reduce the chance for thermal tears. JUL. 2016: DOT rejects AAR’s request to improve the standard for thermal protection based on a technicality. AUG. 2016: DOT issues a rule requiring thermal protection blankets per the FAST Act, but not requiring that they be as effective as the AAR had requested or manufacturers currently make. SEPT. 2016: AAR files comments to DOT’s NPRM on oil spill response plans seeking clarification on a variety of issues, including how close to navigable waters does a rail line have to be to require a plan and the definition of environmentally sensitive areas, among others. DEC. 2016: AskRail upgrades to allow access from any internet ready device and provides additional information within the app, including DOT car types a, maximum capacity of the locomotive fuel tank and AAR’s Field Guide to Tank Cars. APR. 2017: AAR files comments to DOT’s advanced NPRM on real-time train consist information asking DOT to accept AskRail as the solution. AskRail provides emergency responders with information about what is in the entire train consist by entering one car or locomotive number. DEC. 2017: AskRail upgrades to allow a search by container number, GIS/Mapping including points of interest such as schools and hospitals, street-level views and part of the Emergency Response Guidebook.